It’s been almost a hundred years since the British Colonists formalized plans to amalgamate their Northern and Southern Protectorates in the area around the River Niger and parts of the Cameroons into a country on January 1, 1914. 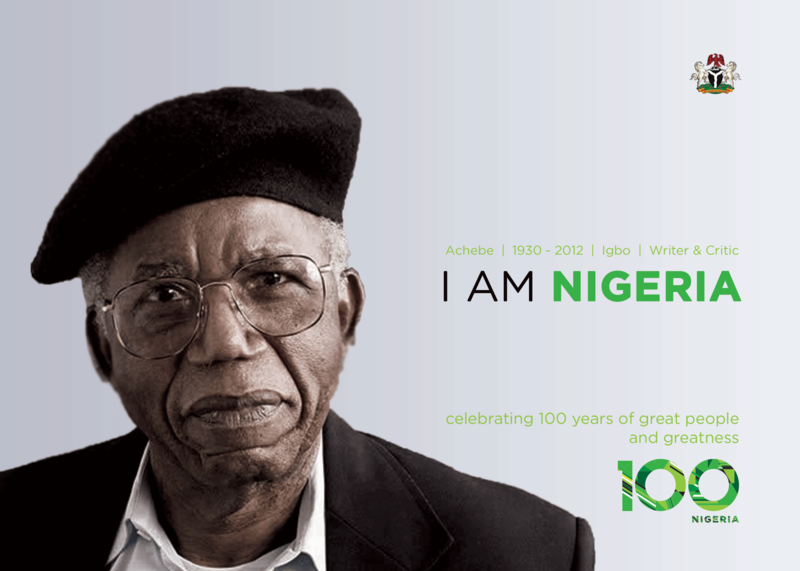 They called the new country Nigeria, and the one thing that the infant country had in abundance was diversity; in people, in cultures, in resources and in resourcefulness. 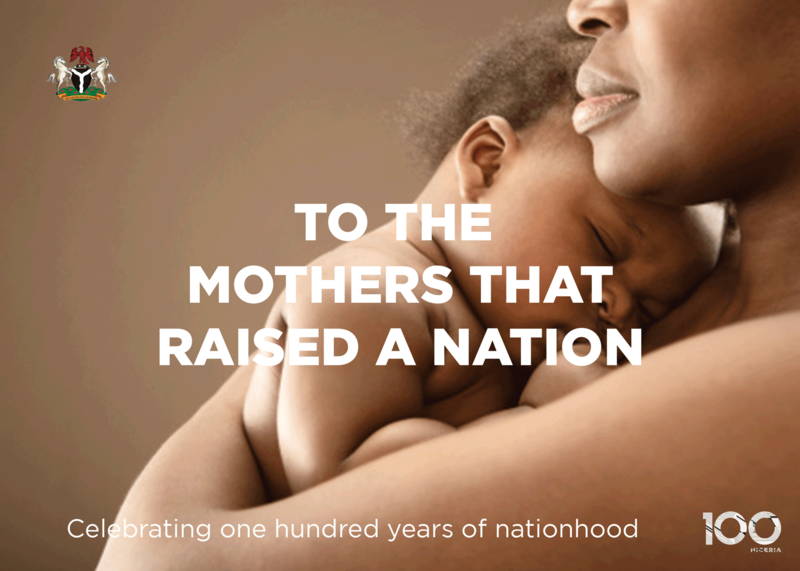 It has been an eventful century since the amalgamation, and we have survived it all. From a civil war to coups, to environmental crises and inter-tribal wrangling, we have survived it all and we’re still one, still standing. We’re still a proud people, still one nation bound in freedom and unity. 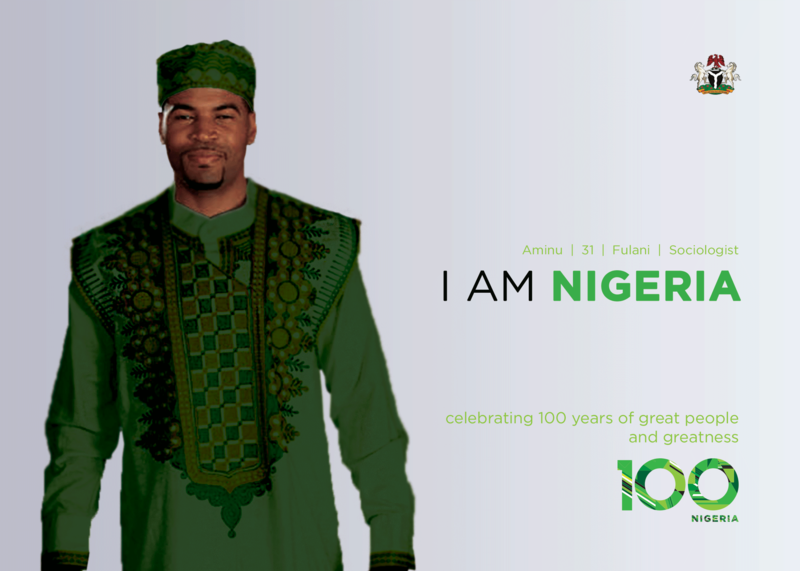 There is still no other people as colorful and as African as Nigerians. We still represent blackness in all of its glory. 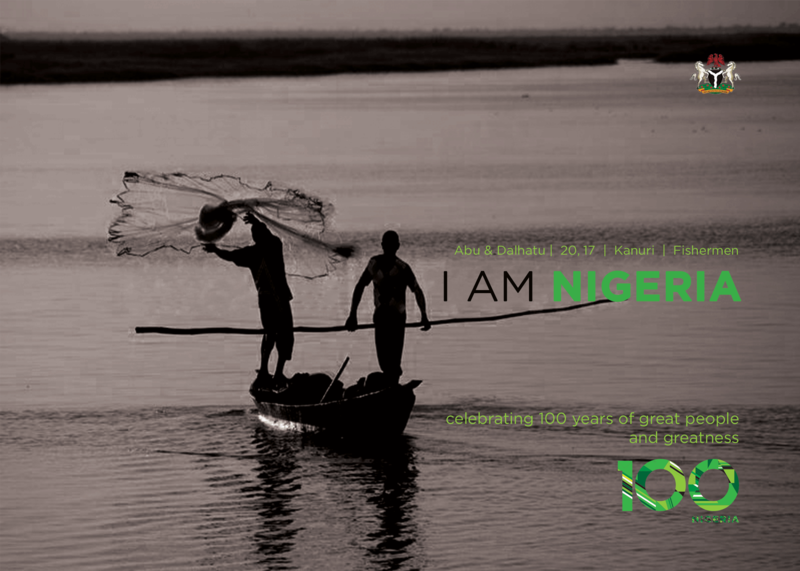 There are many reasons to celebrate Nigerians; the achievements of the people, how far we have come together, the cultures, the friendships, the everyday heroes…we shall dwell on these positives and, for now, ignore the negatives. 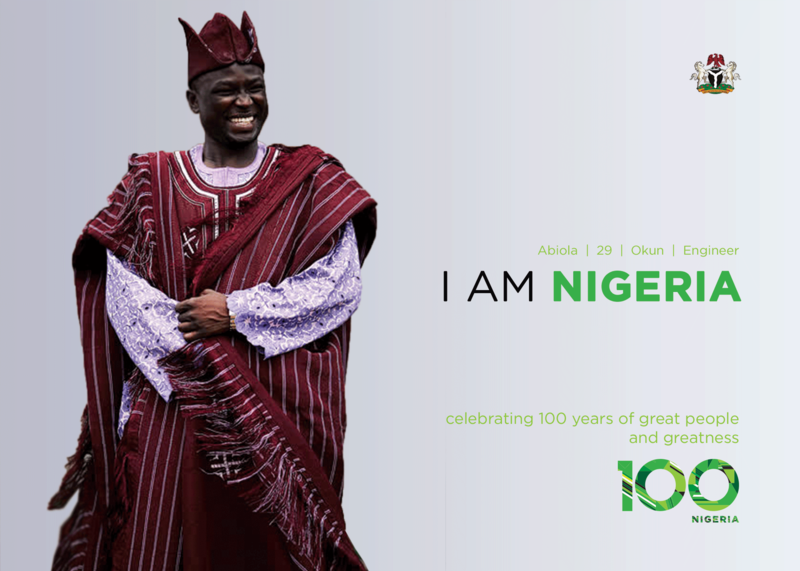 As the centenary anniversary of the amalgamation draws closer, the Federal Government of Nigeria has begun planning for a celebration across the country. 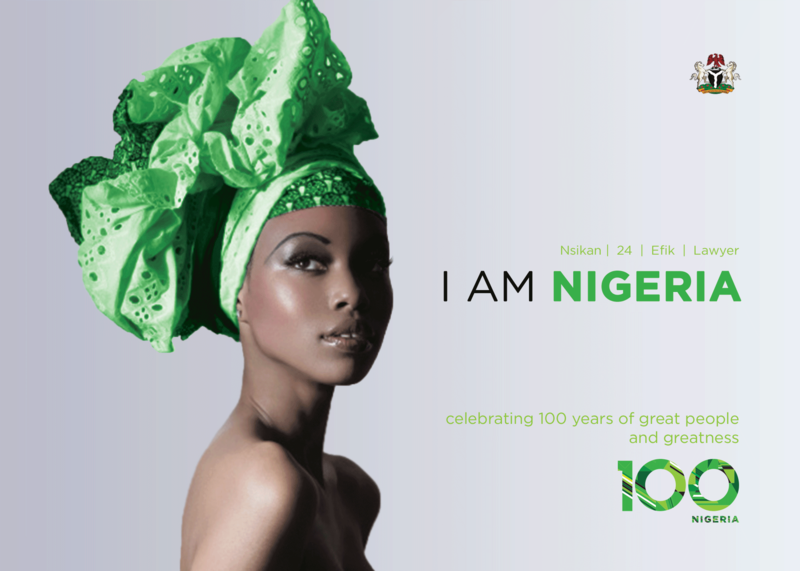 They started by rolling out a logo for the anniversary, and just like the Nigeria at 50 logo, it is a crying shame. Certainly, a nation of over 160 million people could design a better logo? 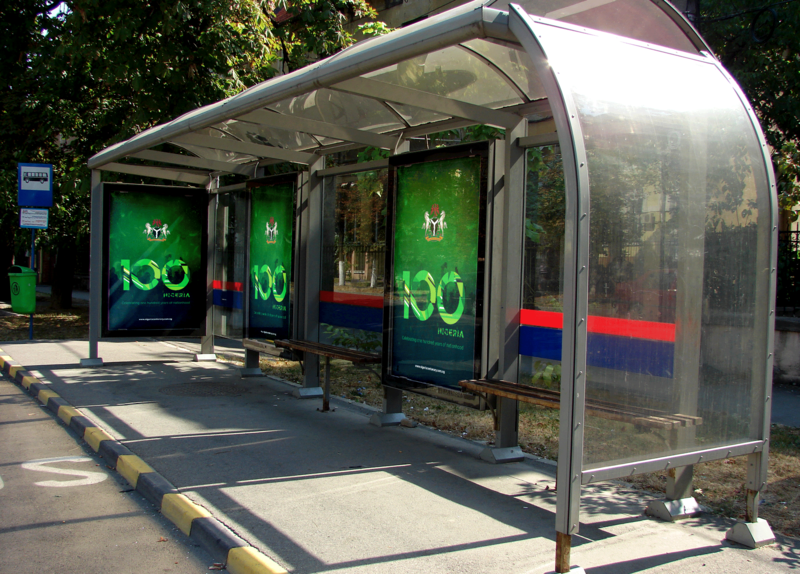 Again, even though there have been several events held this year to herald the centenary, most of the populace have no idea about the celebration coming. This is a great time to promote unity and foster a national spirit; to mend the frayed and breaking cords that unite us, and to promote tourism in the country. But we cannot expect the people to celebrate things they are only vaguely aware of. We have reasons to celebrate, but the people need to know what these reasons are. So, dear Minister of Information or whoever’s neglected duty this is, let the people know you will be celebrating them on the 1st of January 2014 or they may not show up for their own party. That said, I never was one to give criticism where I couldn’t proffer solutions or, at the very least, alternatives. 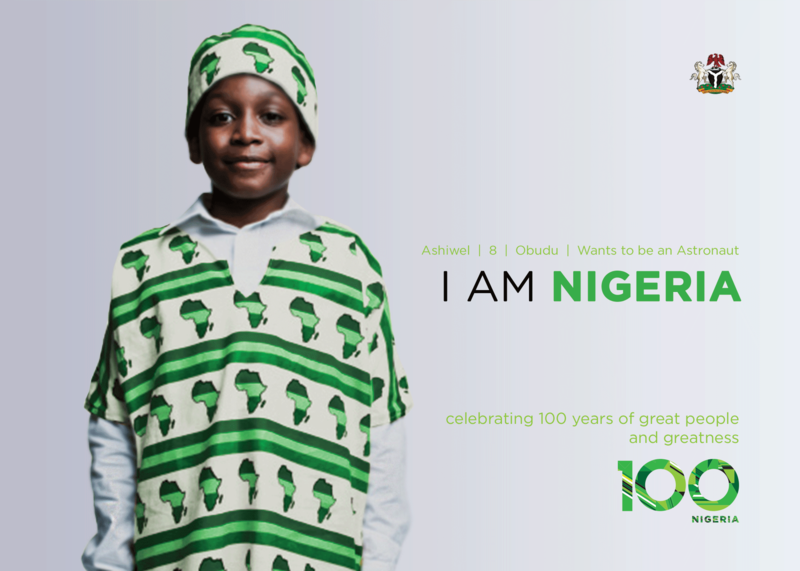 The images that follow are just basic representations of things I would’ve done a little different if I had the opportunity to plan the celebrations for Nigeria at 100. The different pieces have been amalgamated into one whole, quite obviously, signifying the different peoples that were merged into one whole. And while we maintain distinct lines, demographically speaking, we are still one whole, undivided. 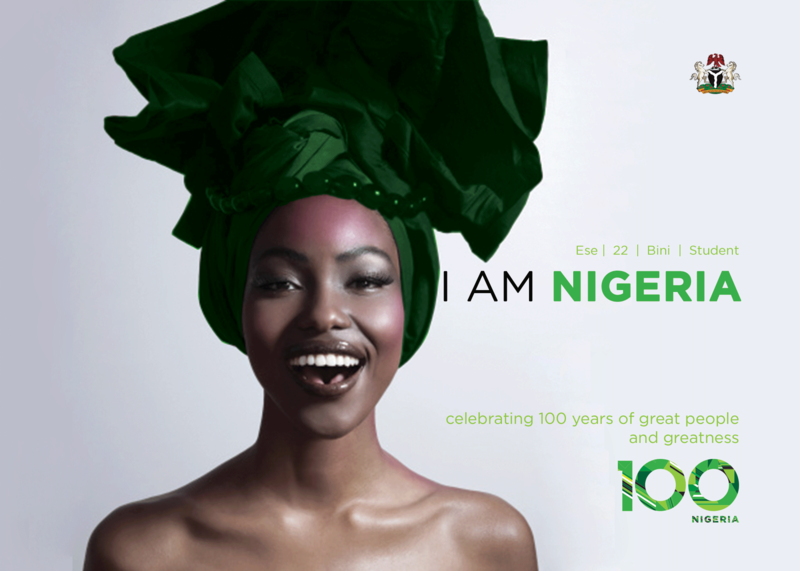 The different shades of green represent different cultures, tribes and languages, but they are essentially still green, still Nigerian. By the way, if I did a music festival for the anniversary (they already have one planned, I think), it’d be a fusion of traditional music styles and the modern, a blend of the old and the new…that sort of thing. Forward thinking grounded in history. And I’d host it in cities around the world. 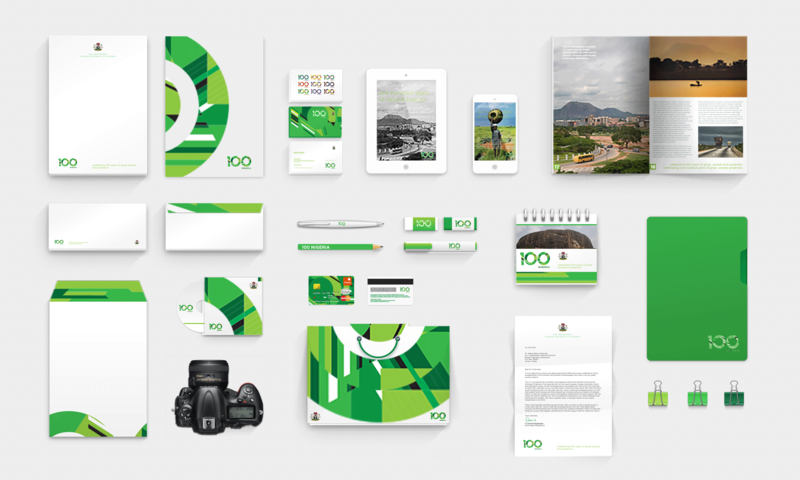 Next, I took the logo and applied it to marketing collateral, from letterheads, magazines and business cards to shopping bags, desktop calendars and even ATM/debit cards. I thought the bank card branding might be a way for the financial institutions to get involved in the celebrations, and from a publicity basis. 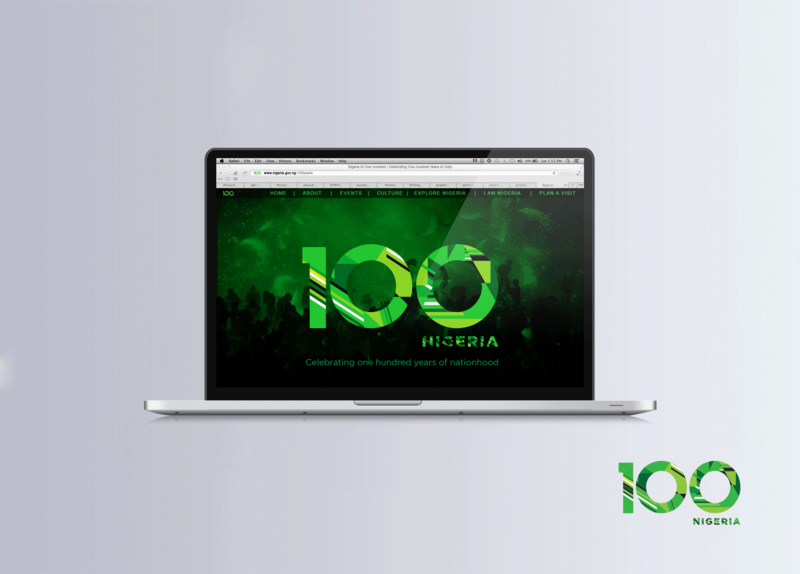 Earlier on, I’d tried to visit the official (meaning government built) website for the centenary (https://nigeriacentenary.com.ng). 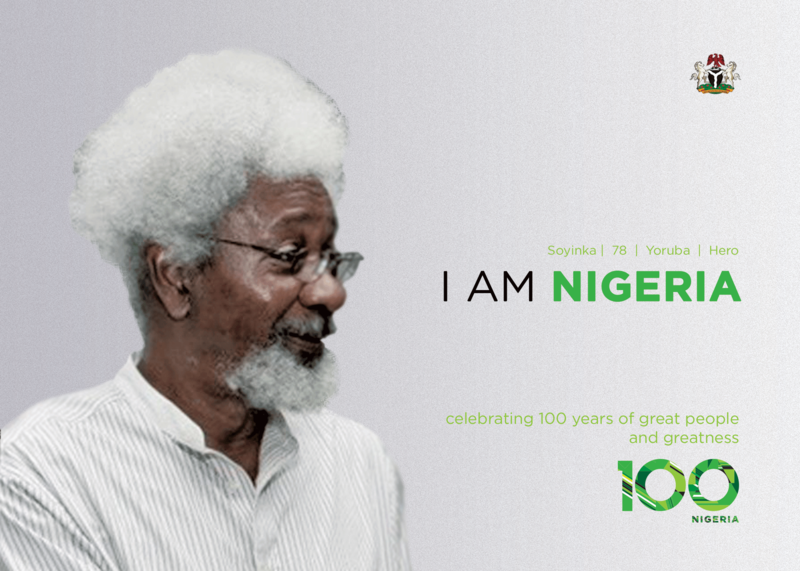 For some reason, it is hosted on a ‘.com.ng’ and not a ‘.gov.ng’ domain. A quick google search for related terms and I was impressed to find that the official website and related social media pages ranked among the top results. It was pretty much downhill from there. The site looks average on a PC, but on mobile performs horribly on mobile. 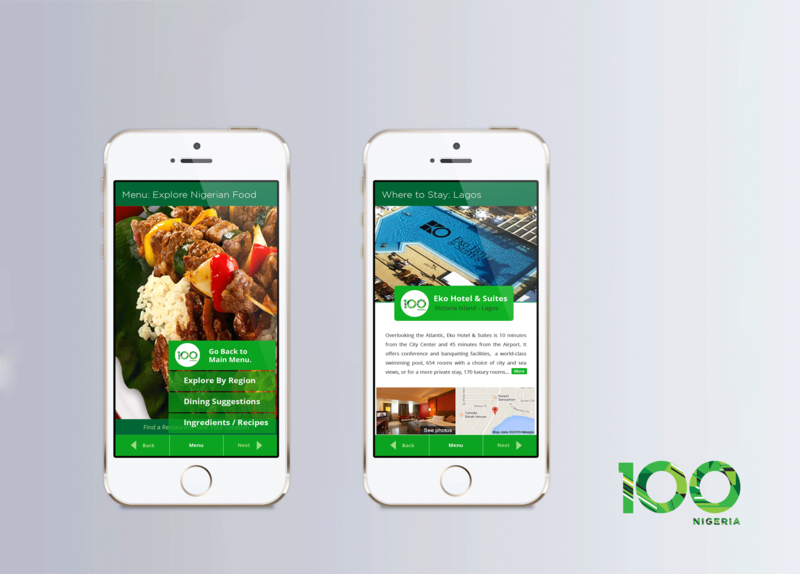 There was a feeble attempt to make it responsive, but that failed woefully. 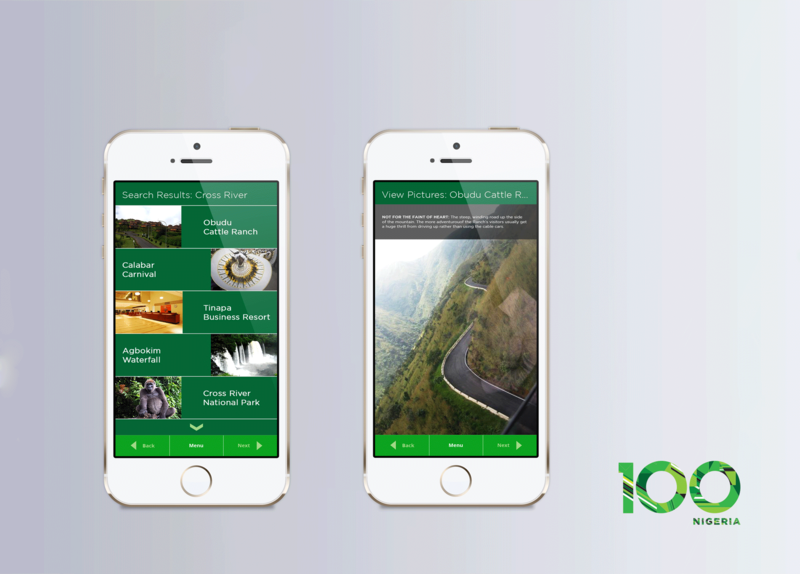 Navigation felt a little cumbersome, and home page loads at a frustratingly slow pace. The user experience and overall design were a bit awful to be honest, and the information architecture must have been designed by a five year old on a sugar high. The page about a charity ball—ostensibly for Nigerians giving back to Nigerians—was plastered with pictures of white people. If we’re going to use stock photos, at the very least, we should make them believable, yes? 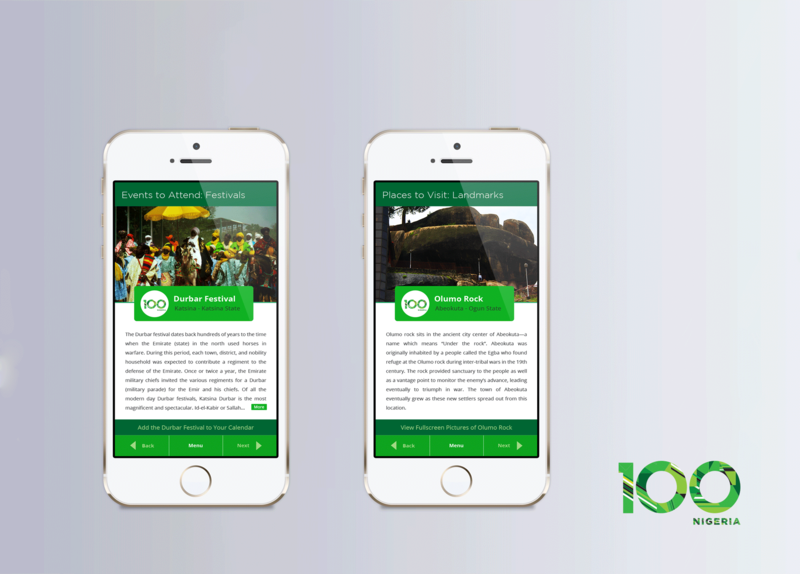 One would’ve thought that the website will be taken advantage of to promote our achievements, heritage, rich culture…all things Nigeria; a website that would make you want to book the next available flight to Nigeria. This centenary is about the people; not their politicians, or their governments, but the people. 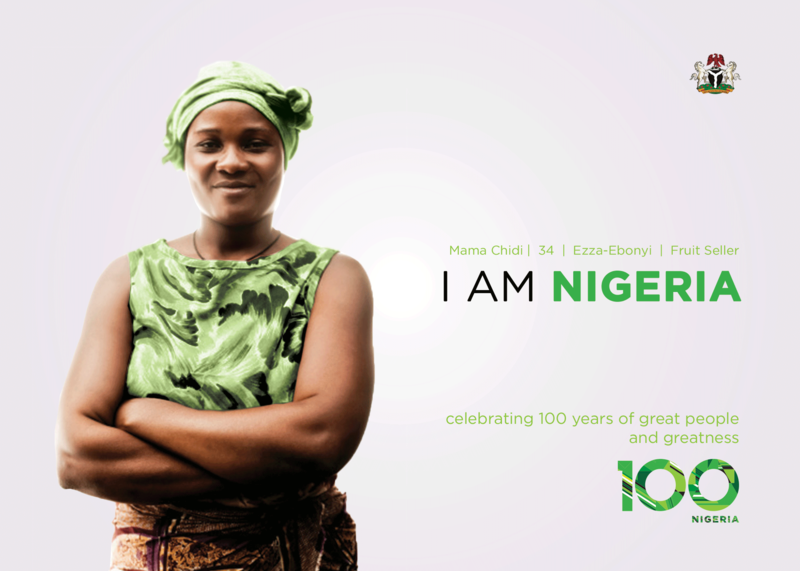 I felt that the phrase, ‘I am Nigeria’ will beautifully capture that spirit. In working out the concept, I was thinking to myself that perhaps for a (quite deserved) change, instead of celebrating the achievements of the politicians (and there aren’t very many of those anyway), we could celebrate the ordinary people, the hustlers, the market women, the traders. We could celebrate the small and the great, from carpenters to Nobel laureates to bus drivers to little children, to the founding fathers and long-suffering university students. I wanted to celebrate our cultures and our unique things; things like the Gwari women with calabashes delicately balanced on their shoulders, or the cattle rearers, the football supporters, fishermen on the Chad, story time in the evenings around a wood fire, fried plantain and moi-moi with steaming jollof rice and fresh fish pepper soup. 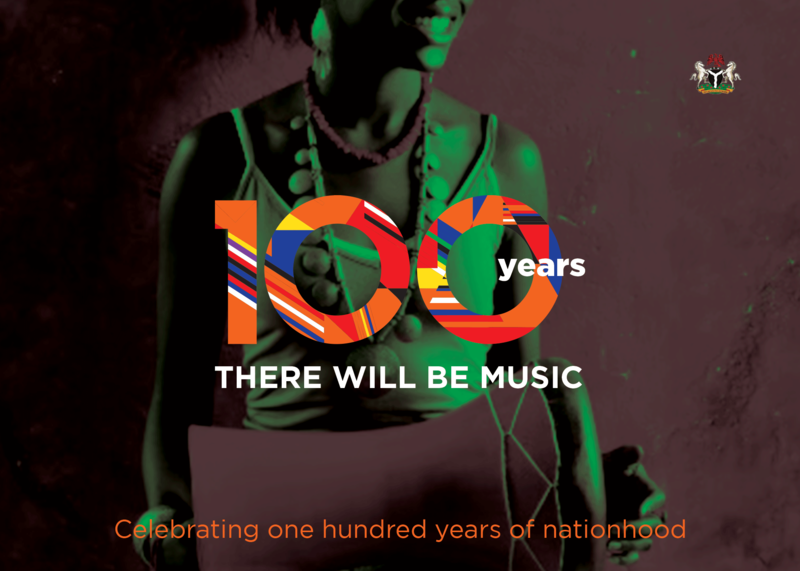 And we are not just celebrating 100 years; we are celebrating our collective chance at a new beginning, the promise of the future to come, the hope for redemption, the past discarded, the first step back to glory. 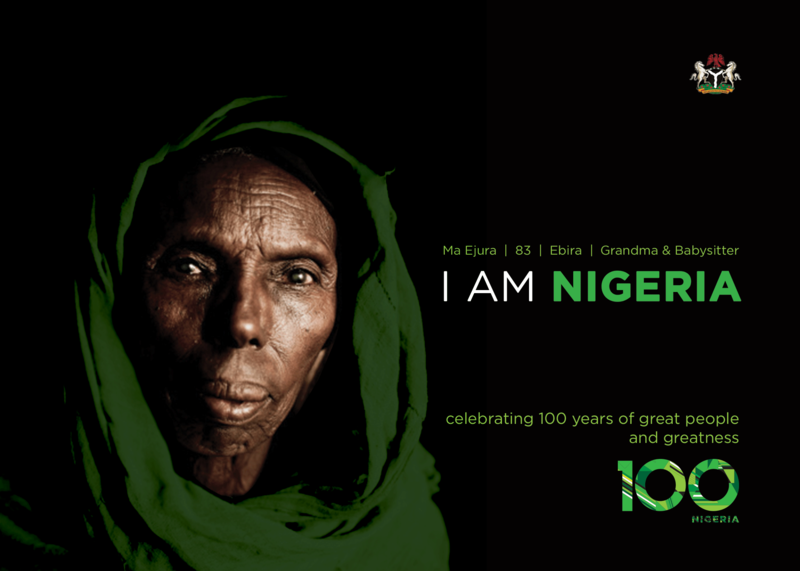 We’re celebrating the people, we are the people, we are Nigeria. And we can do better than what we currently have. Hi, My name is Ashiwel. 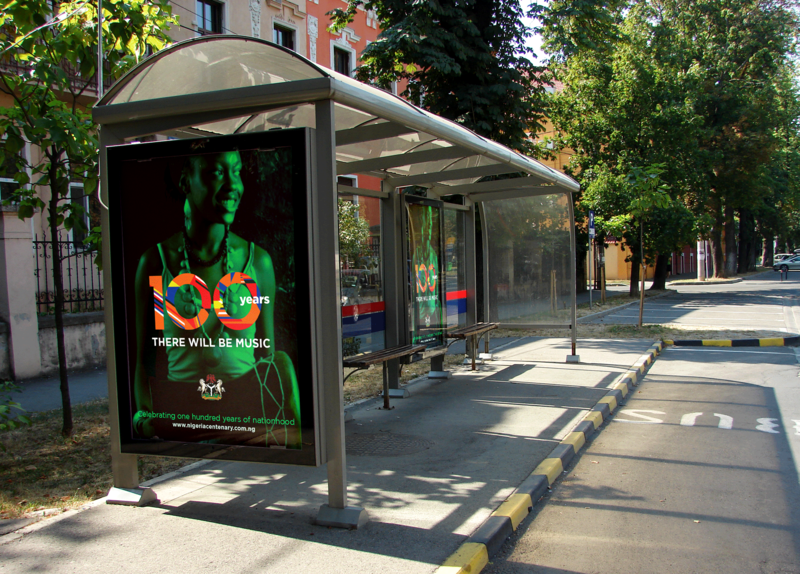 I deploy design to build amazing customer experiences and engage target audiences. I wanted to say thank you for stopping by. Follow me on twitter or just say hello: @iamashiwel. Wow! You certainly thought this through. 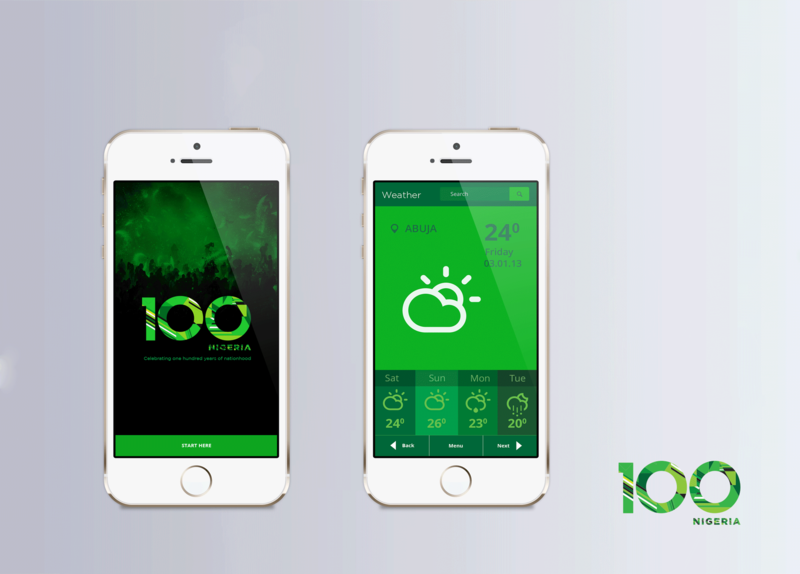 First time I saw the centenary logo, I didn’t really see it. I’ve come to expect mediocre in terms of design and branding from the ministry of information (or whatever unit takes charge of these things). This is beautiful work you’ve done here.